Between having a sprained ankle and now a sprained knee some of my hiking goals have had to be put on hold. 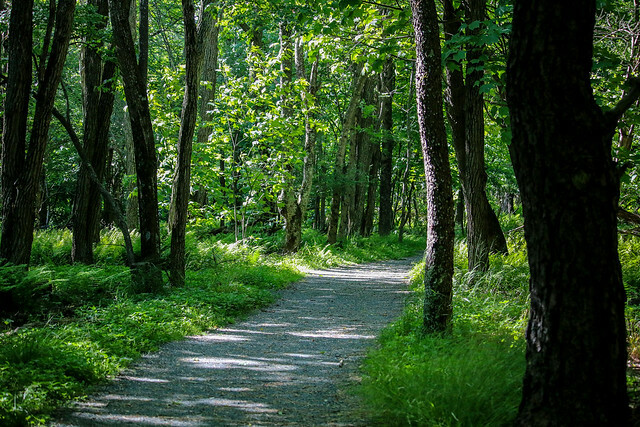 Thankfully, I’m part of a great group on Facebook that focuses only on hiking within Shenandoah National Park. I asked about a good hike that would be flat. That’s fairly rare in the park but lo and behold Limberlost Trail exists. 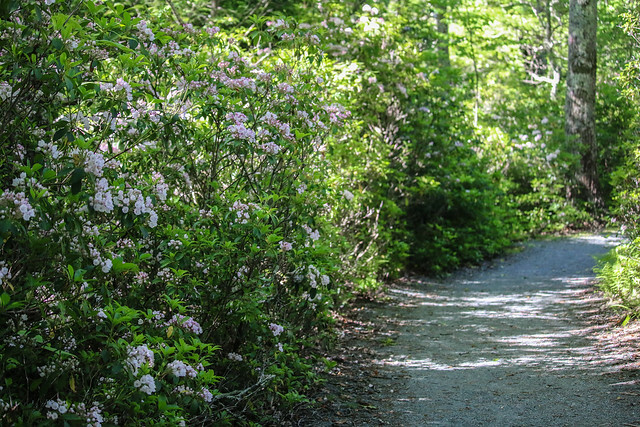 It is designed as an Accessible trail. While it might be a bit of an effort for manual wheelchairs, motorized wheelchairs could make this trek. 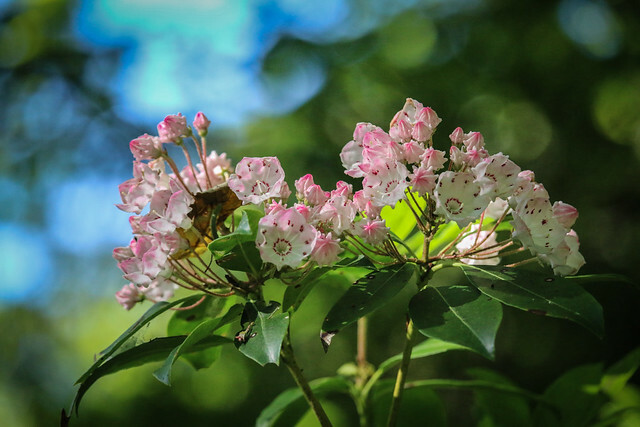 I was thrilled that the Mountain Laurel was out in abundance. I had never seen it before and I wish I could have a backyard full of it. I couldn’t take enough photos of it. Along the trail we saw a cute little bunny and a deer wandered across the trail. Alas, no bears. The trail was pretty and easy. It is just 1.3 miles. 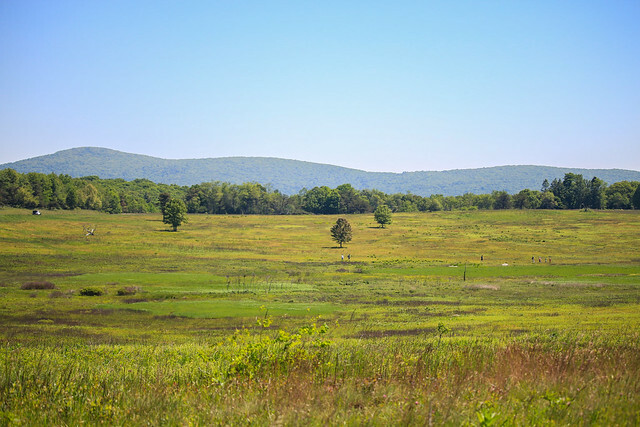 From there, we headed to my son’s favorite spot – Big Meadows. We went there numerous times this past winter hunting for the bobcat. We walked down the fire road there and went further than we did over the winter. Once you pass the initial meadows area the scenery gets lush. We spotted a few different kinds of butterflies and played kick-the-rock. My son grew tired (I mean he did run a 5K and play soccer the day before) so we turned around and went back. It was a short-ish trip to the park but very needed. I had been growing weary of sitting at home and not being in nature. 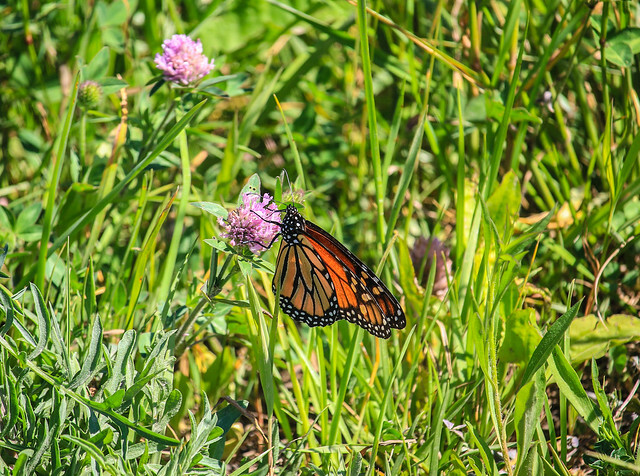 Posted on June 15, 2017, in National Parks, Shenandoah National Park, Virginia Hiking and tagged Big Meadows, Hiking, Limberlost Trail, National Parks, Nature Photography, Shenandoah National Park, Virginia, Wildflowers. Bookmark the permalink. Leave a comment.